Fender Stainless 350's strings deliver the high output and aggressive tone that's ideal for heavier styles, such as hard rock and heavy metal. The stainless steel construction also creates a string with an increased lifespan. The pure stainless steel wrap has a high resistance to oil, acid, and sweat for long life and brilliant tone. Their bright, aggressive tone also complements guitars made of dark sounding tone-woods such as mahogany and poplar. 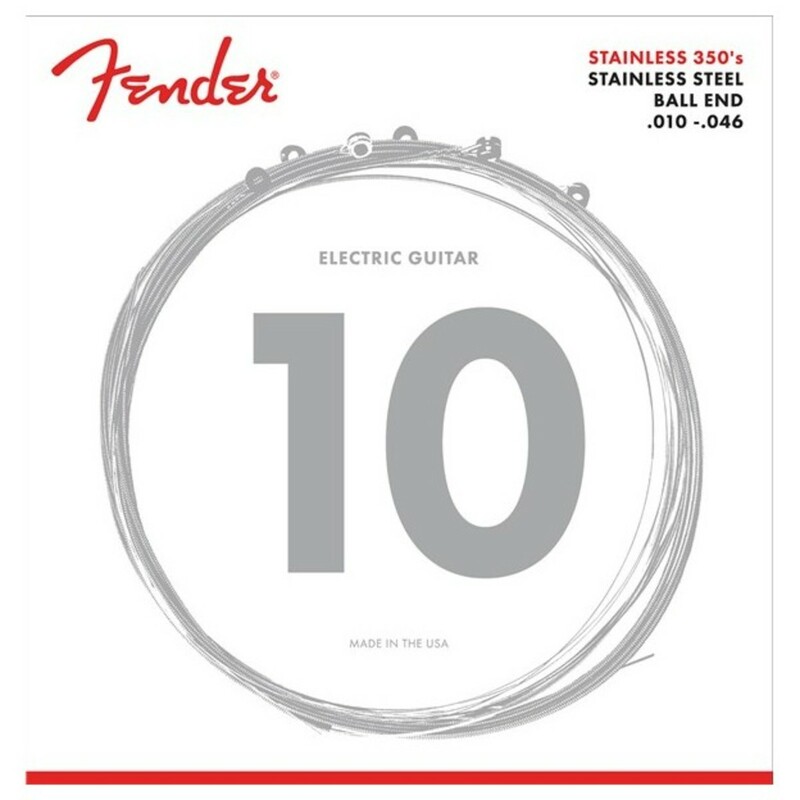 Fender Stainless 350's are an excellent choice for heavier styles of music, such as hard rock and heavy metal. Fender String Construction: Stainless steel. Tone Descriptor: Loud, aggressive tone, with very high output.